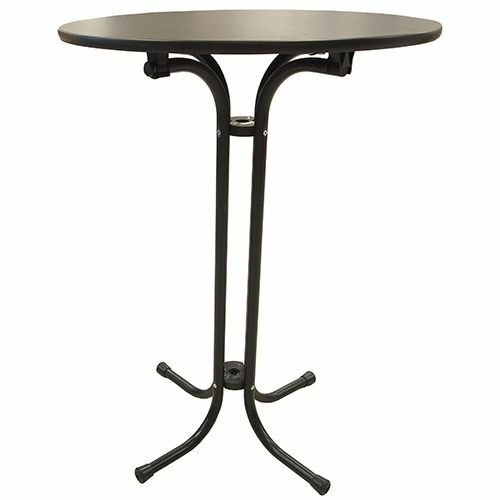 The Flip Top Pedestal Table is great for events requiring quick set-up and tear-down such as weddings, anniversaries, or other celebrations. The portable table is easily transported and stored with its tilt-top design. 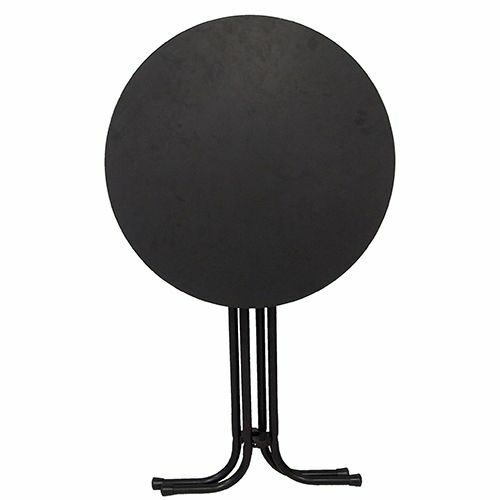 Our Flip Top Pedestal Table is easy to set up and easy to take down. It's sturdy construction and ease of use makes this table good for both stationary uses and/or portable hospitality. Tired of missing crumbs around table legs? This table folds away easily making cleaning the floors after hours as easy as possible and then quickly reassembles to return to business. The Flip Top Table folds to a flat position taking up only inches when compared to a traditional table, so you can transport or store it easily as well.